Fill in the choices on the next page to see if you can afford your dream life. You might be surprised at how much that life will cost. While local salaries, wages and lifestyle costs will vary throughout the United States, the internal data used in this calculator are national averages. The results will indicate a ballpark relationship between your expenses and the income you will need to support your dream lifestyle. While local salaries, wages and lifestyle costs will vary throughout the United States, the internal data used in this calculator are national averages. The results will indicate a ballpark relationship between your expenses and the income you will need to support your dream lifestyle. Students, imagine you've just graduated from high school or college, and you're about to embark on your life as an independent, adult consumer. Answer these simple questions about what you think your lifestyle will be. Will you take public transportation or drive a new car? Will you cook your own meals or eat out? When you're done (it should only take a few minutes), click "See Reality..." below and find out what kind of income you'll need to support your adult lifestyle. If you plan to share your apartment with roommates, how many roommates do you expect to have? Nights out at special restaurants, clubs, etc. 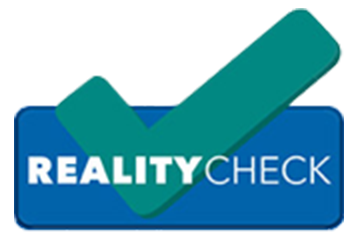 The Jump$tart Coalition thanks the AFSA Education Foundation for supporting the Reality Check’s update.